Everyone professionally active in film related activities, journalists, film critics, festival programmers, sales agents can request an accreditation for the festival. Please fill in the form referenced below. When accepted, an accreditation gives you access to all screenings at the festival, as long as there are tickets available. 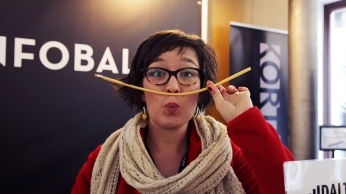 The festival center, accreditation office and all the screening venues are at Arts Center STUK, Naamsestraat 96, Leuven. Leuven is easy to reach by car, bus, train and plane. If you arrive by plane, you preferably fly to Brussels International Airport (Zaventem). There is a direct train connection between Brussels International Airport and Leuven (15 minutes). You can also choose Brussels South (Charleroi), but -contrary to what you might think- this airport is 60 km away from Brussels and 80 km from Leuven. In case you arrive in Charleroi; take the train to Brussels and a connecting train from Brussels to Leuven. 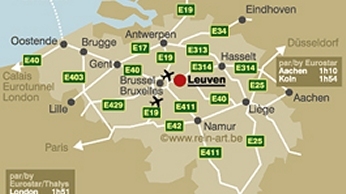 If you come by car: Leuven is situated at the junction of two major motorways: E40 and E314. In Leuven the buses of the public transport company De Lijn will swiftly take you anywhere in the city. Leuven has one of the oldest universities in Europe, founded in 1425. Probably the reason why it is home to the "longest bar in Europe" aka the longest series of connecting cafes.